A few months later, in September of 2016, the Gibraltar territory issued an economic impact assessment report. The report was given to the Department for Exiting the EU. The British government reached a deal recently with the British government to confirm UK market access for online gaming and financial services. Gibraltar companies are projected to sell 20% of UK motor insurance. 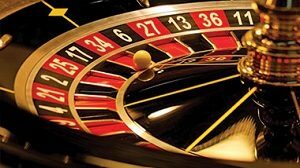 It has also been reported that more than half of all online gaming bets (60%) are taken by Gibraltar firms. These business agreements have helped to reduce some of the anxieties that citizens of The Rock have concerning Brexit. However, what will happen with the Gibraltar border is still not certain. The issue of the frontier has been well-known for quite some time. The crossing closed due to orders from Franco in 1969. It wasn’t until 1985 that the crossing was reopened; this was the year Spain prepared to become part of the European Economic Community. What Will Happen to the Gaming Industry? Gibraltar and Spain have come to a tentative agreement to protect jobs in the gaming industry. This has reduced some of the concerns that citizens have about the future of gaming and gambling. Gibraltar is an Overseas British Territory and will be included in the economic changes that come with Brexit. The UK is scheduled to separate from the European Union in March 2019. However, how Brexit will influence Gibraltar remains to be seen. There about 14,000 people in the area who commute between Gibraltar and Spain on a daily basis. Many of these commuters work in the gaming industry that is thriving on the island. The UK has not reached a conclusion about how it will break away from the EU. However, Spain and Gibraltar have reached a separate deal. This means that when the UK negotiates a deal before breaking away from the EU, the economic relations between Gibraltar and Spain will likely remain the same. Chief Minister of Gibraltar Fabian Picardo has taken strides to improve the situation. He states that “common sense has prevailed” and confirms that Gibraltar has agreed to certain terms with Spain. The environment, customs and policing are among the terms that have been agreed upon. Spanish Prime Minister Pedro Sanchez has also confirmed that Spain won’t use Gibraltar as a means of negotiating during ongoing talks with the UK. What Are the Next Steps for the Gaming Association in Gibraltar? The Gibraltar Betting and Gaming Association was contacted by iGamingBusiness.com for additional information concerning Brexit and the gaming industry. The Association didn’t respond right away. The deal with Spain is likely the final step in Gibraltar keeping most of its gambling offices and facilities. In summer 2018, Gibraltar made adjustments to duties and licensing rules in preparation for what could be classified as a “hard Brexit.” While several major gambling companies have Gibraltar offices, some of these offices are planning to move once Brexit has taken effect.